This entry was posted in Animated Movie Reviews, Animated Movies, Reviews and tagged Drama, Equestria Girls, Friendship is Magic, Hasbro, MLP, Movie Review, My Little Pony, My Little Pony Equestria Girls, Review, Slice of Life by dreager1. Bookmark the permalink. I personally loved the music! I had no idea My Little Pony had any action in it. The clips I have seen make it look like a comedy. Also surprised to hear that the spin-off show is popular. 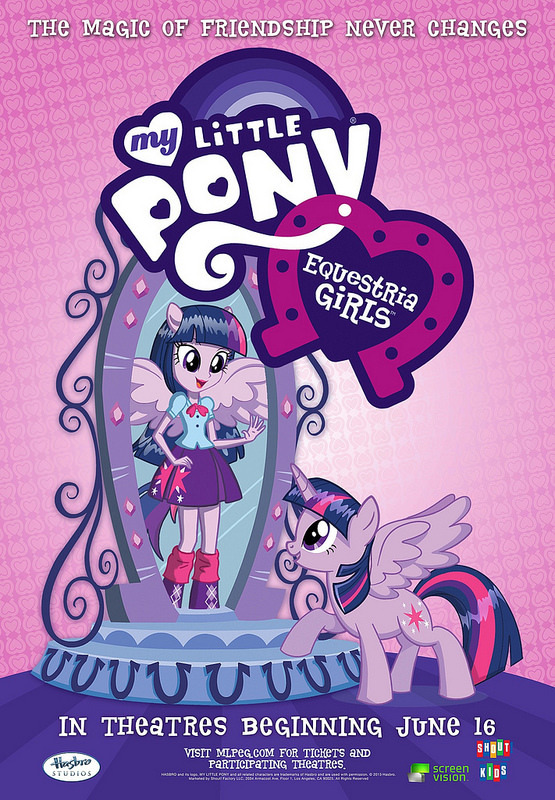 I assumed the charm of the franchise was the pony designs. Oh yeah,the fight scenes in the show are awesome!